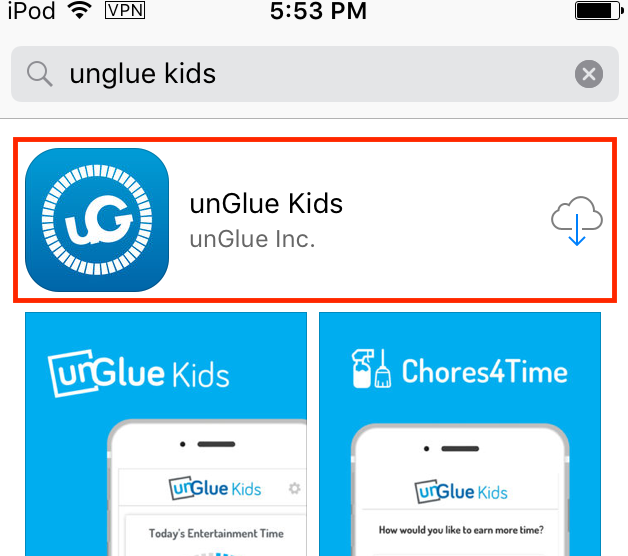 Download the unGlue Kids app from the app store. 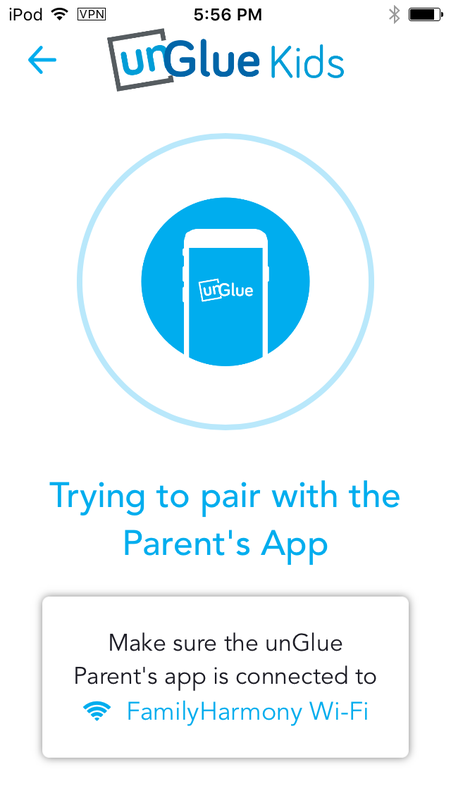 Open the unGlue Kids app and click the "Connect with the Parent's App" Button. Wait for the pairing animation to end. This will take 30 seconds. Select your child from the list. 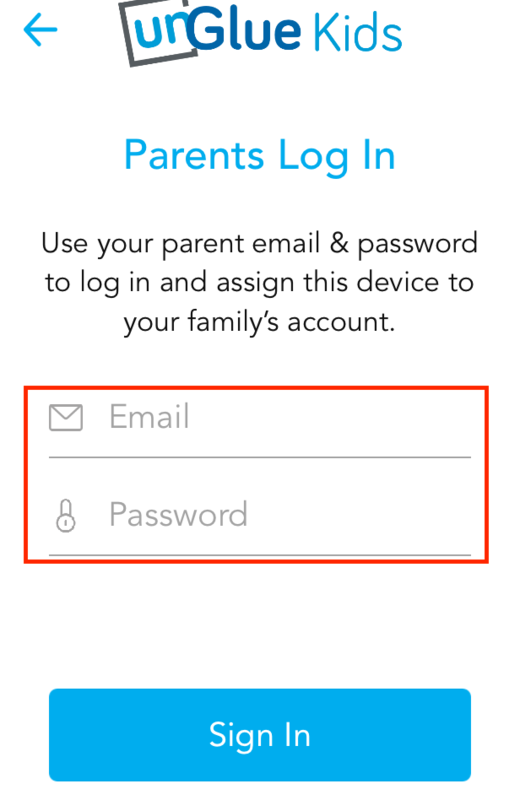 If this device is for a new child that is not in the list, open your unGlue parent app, and under the menu, select Add Child.